Please meet our products ValoClimb and ValoJump. 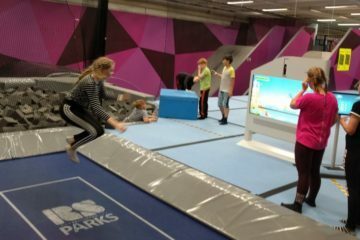 These interactive game platforms invite anyone, from the youngest kids to hard training adults, to have an amazing time. ValoJump comes with fun filled games and training applications that help in learning the sport. 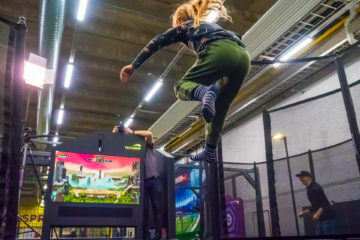 This immersive experience will keep anyone entertained from beginners to experienced trampolinists. 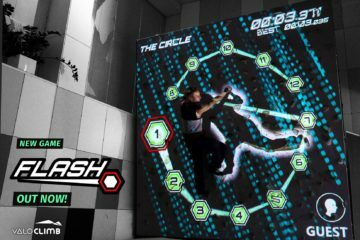 The world’s first interactive game platform for climbing walls. You probably know it as Augmented Climbing Wall, which was its name until early 2018. Valo Motion is a game developer and hardware manufacturer based in Finland. Valo Motion revolutionises how sports and games are combined to create fun and effective exercise. We believe that high quality products should be developed with smiles and passion for sports & games. The name Valo Motion comes from the Finnish word valo, meaning light, which is central to our products. Our products can be found in 200+ locations and 40+ countries. Check the map below to find the closest one to you! “We have had 5 Augmented Climbing Walls for total 30 months and our customers love them. 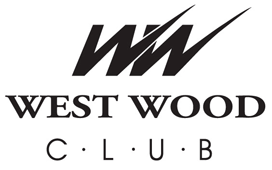 “Amazing product and service. Set up was very easy (considering what is being done) and the quality of materials and measurements was very high.